Features:with slat,with headboard Material:crushed velvet,solid wood. -Upholstered in finest quality crushed velet fabric. -to help you get your best night’s sleep. 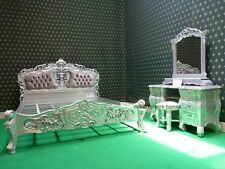 -this bed will make real difference in your bedroom. 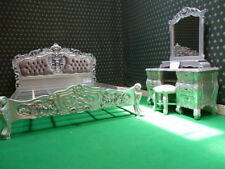 Well now you can enjoy the luxury of real silver every night. Cover: Silver Fibres. Double: W: 135cm x L: 190cm x D: 14cm. BEST QUALITY PRODUCTS. Best Products at Affordable Prices. Scottish Highlands, Scottish Isles, Northern Ireland, Isle of Man and Isle of Wright. Features:with slat,with headboard Material:crushed velvet,solid wood. -Upholstered in finest quality crushed velet fabric. -this bed will make real difference in your bedroom. Room:bedroom main color:grey. 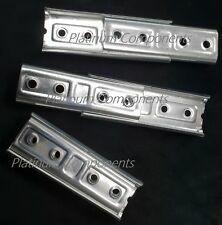 Slat Width - 63. Slat Length - 840. Slat Thickness - 9. With bars on the bed head and bottom it also has certain daring appearance so no one will be able to resist this attractive single bed. Single comfortable bed with attractive design. Update your bedroom design with this stunning bed. The headboard is 105 cm high on one side and 115.5 cm high on the other. The footboard is 65 cm high and 75 cm on the other. The bed suits a 160 x 200 cm mattress. 4FT6 Side Lift Ottoman Luxurious Padded. 4FT6 Double. 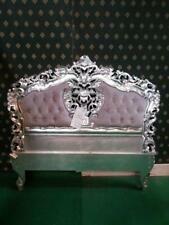 Crushed Velvet Sleigh Bed With Diamante. Underbed Storage - Including space saving ottoman gas lift feature. Crushed Velvet Silver. This bed is sturdy and comfortable to use.